March 5th is going to be a doozy! 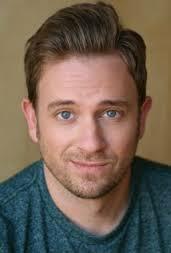 Tom Lenk will no doubt read a letter of sass and hilarity! He is a SAG Award winning actor, best known for his work in the “Whedonverse,” having starred in Buffy the Vampire Slayer, Angel, Cabin in the Woods and most recently Joss Whedon’s critically acclaimed film adaptation of Much Ado About Nothing. Other memorable film and TV credits include Argo, Transformers, Episodes, How I Met Your Mother, Psych, and currently a recurring role on the new series Witches of East End.